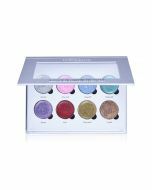 Ultra-fine, loose cosmetic face and body glitter is versatile and extremely brilliant. Add a little sparkle anywhere you want: eyes, hair, lips, body or even to your favorite bubble bath to liven up your bath time! Tip: use with Color Stay glitter adhesive for maximum staying power! 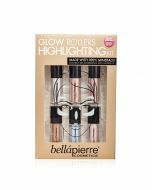 As an eye shadow Use with Bellapierre "Color Stay". This will allow you to adhere glitters and prolong their staying power.